The Creation Care Committee is delighted to announce the Spring Gardening Class Series. The series will feature four guest speakers, all experts in their fields, who will discuss prepping your garden in the winter months, composting, organic alternatives to pest control, gardening with kids and much, much more! Preparing for the Spring Growing Season - Our class series begins on February 8 with Peter Anderson, owner of Eco-Logic Landscaping Company. He will discuss how to prepare for the Spring Growing Season, including ideas for composting, gardening tools, and even how to test your soil He will help guide you through the best choices of native plants, high success rate veggies and herbs, and explain the benefits of choosing seeds or starts. Gardeners of all-levels are encouraged to come. Soon you’ll be on your way to a beautiful Spring! Beautiful Flowers and Tasty Vegetables - On February 15, Deborah Beazley, the Director of Warner Park Nature Center’s organic garden, will lead a discussion about how to enhance your garden with beneficial mulching and watering practices. Participants will learn how to grow beautiful flowers that will attract and nourish important pollinators and how to raise tasty vegetables without the use of harsh chemicals. Container and Raised Bed Gardening - On February 22, Joan Clayton-Davis, the chair of the Davidson County Master Gardeners’ Speakers Committee, will join us to share ideas about gardening in containers and raised beds. Do you have constraints that make traditional gardening difficult? Joan will teach us about growing plants on window sills, decks, and porches, and will help expand our ideas about spaces where plants can flourish. 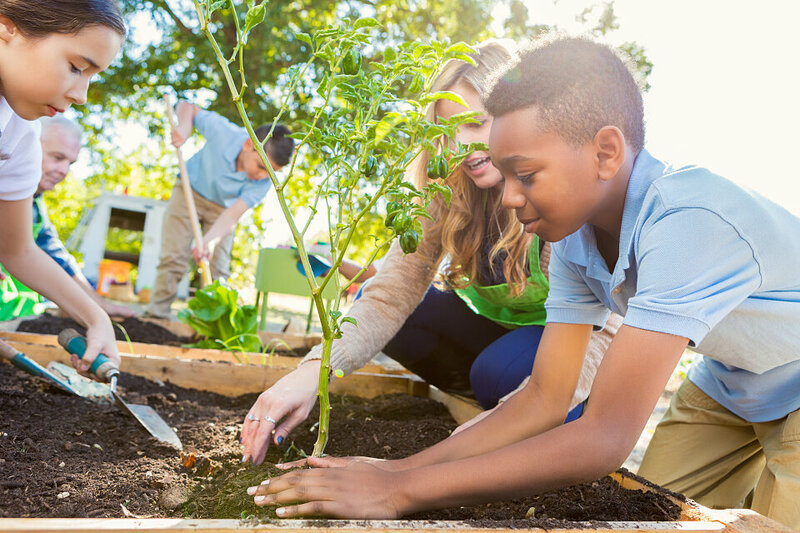 Gardening with Children - Our last session on March 1 will focus on helping children learn to garden. This session will be led by West End’s own Karen McIntyre, the librarian and Garden Director at West Meade Elementary School. She and several friends will provide ideas to help make gardening an exciting and successful enterprise early in life.